A spine-tingling mystery set in a creepily atmospheric boarding school. Ivy must uncover the secrets behind her twin sister Scarlet's disappearance before it's too late. When troublesome Scarlet mysteriously disappears from Rookwood School, terrifying Miss Fox invites her quiet twin sister Ivy to 'take her place'. Ivy reluctantly agrees in the hopes of finding out what happened to her missing sister. 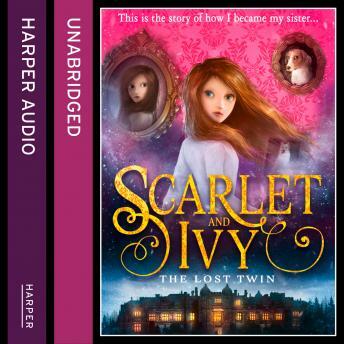 For only at Rookwood will Ivy be able to unlock the secrets of Scarlet's disappearance, through a scattered trail of diary pages carefully hidden all over the school. The first in a mesmerising new series - perfect for fans of Holly Webb and Harry Potter and mysteries that demand to be solved!